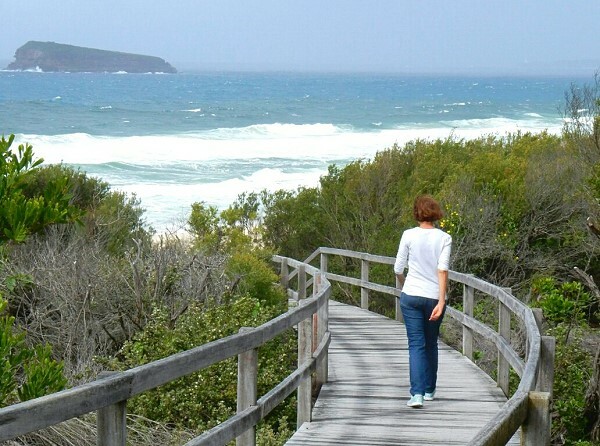 About 30 minutes drive north of The Entrance is the stunning Munmorah State Conservation Area. With its rugged coastline, sandy beaches, turquoise waters and dazzling views it is popular with campers, fishermen, surfers and bushwalkers. 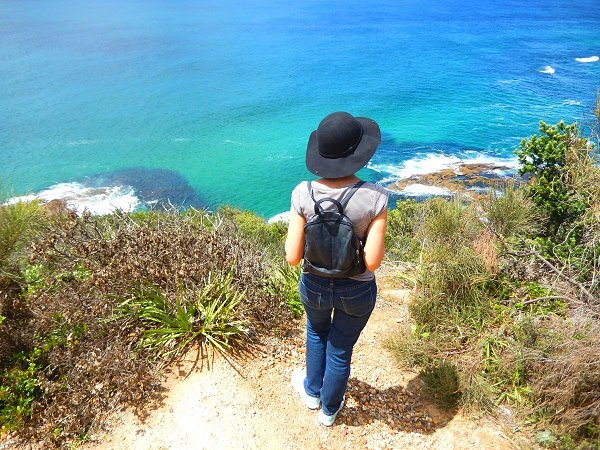 For starters head out to Wybung Head or the Tea Tree Picnic area with their panoramic views up and down the coastline. The Palms Picnic area shows you another side of the park with its shady canopy of cabbage tree palms and tranquillity. If you are looking for a swim, surf or beach day then drive down to the patrolled Frazer Beach which is patrolled in summer. There is a car-based campground at Frazer Beach which has a picnic area, toilets and a camping ground. Another campground is found a short walk from Birdie Beach in the south. Freemans Camping Ground has room for both tents and vans. Several walking tracks meander through the park. 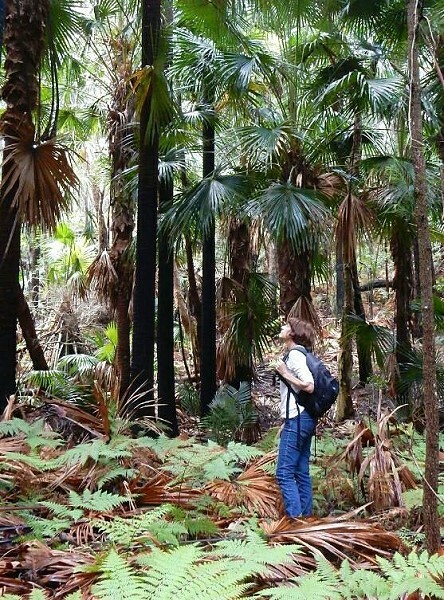 The 1.5 km Palms Circuit Track takes in the coolness of the cabbage tree palm forest. The 3km Moonee Beach Trail off Snapper Point Rd, introduces you to the coastal heath and wildflowers of the park. 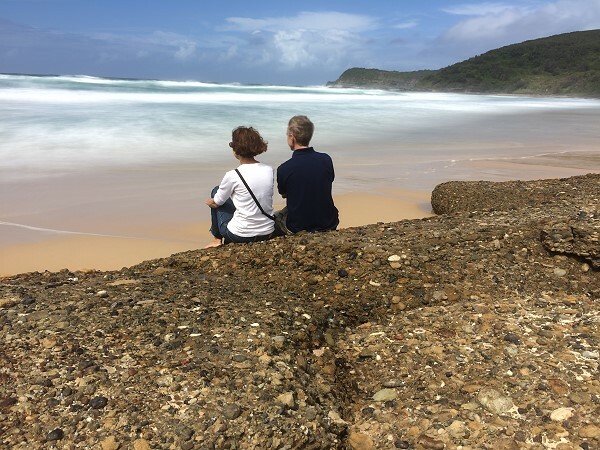 With spectacular views above Timber Beach, Ghosties Beach and Moonee Beach, you can also descend onto the usually deserted Moonee Beach. For those looking for a more challenging hike, then try the 7km (one way) Melaleuca Track which commences from the southern park entrance on Birdie Beach Drive. Travelling through swamp, paperbark forest, tea tree trees, scribbly gum communities and coastal heath, you are bound to see some lovely wildflowers and native birds. 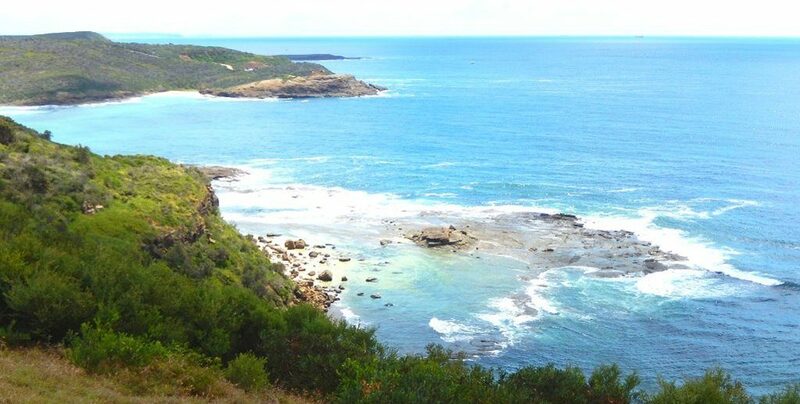 Breathtaking views south to Norah Head can be seen before the walk concludes at the patrolled Frazer Beach. The perfect spot to refresh with a dip in the ocean! Munmorah State Conservation Area is open from 5.30 am to 9 pm during daylight savings, and 6am to 6pm at other times. There is a vehicle charge of $8 per day. There are two entrance points – one from Birdie Beach Drive in the south or the other on Blue Wren Drive off the Pacific Highway further north. Contact National Parks and Wildlife for more information on (02) 4972 9000.